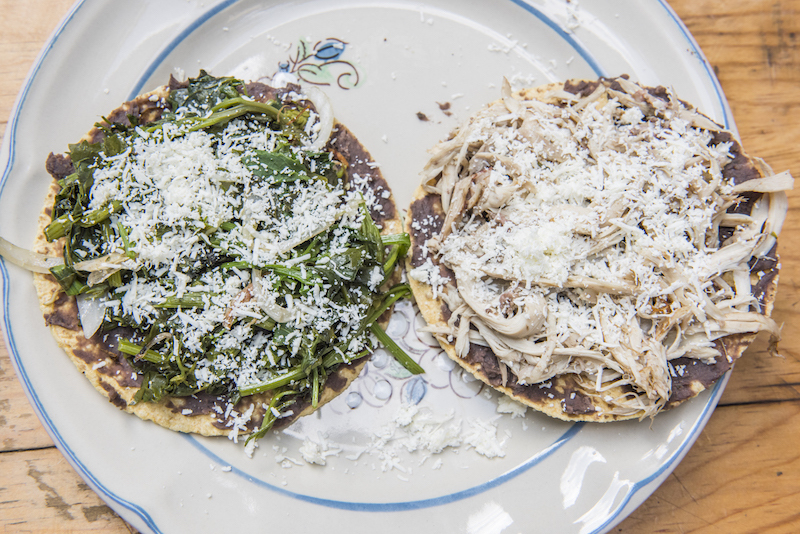 In Mexico City, two food worlds exist side-by-side. 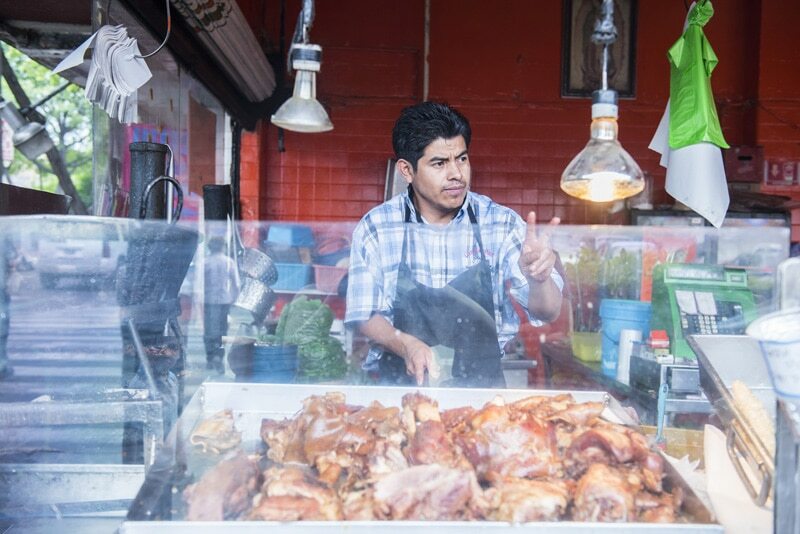 There are the restaurants—and then there’s the vast network of sidewalk grills, market stalls, taquerías, and small homestyle kitchens called fondas. The latter can be hard to penetrate if you’re not familiar with Mexico City. That’s where we come in. 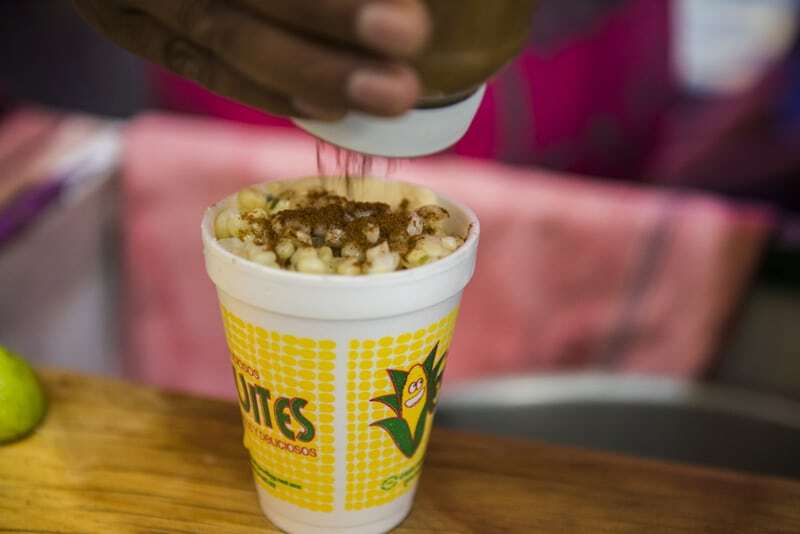 On our tours, you won’t get a touristy version of Mexican food. 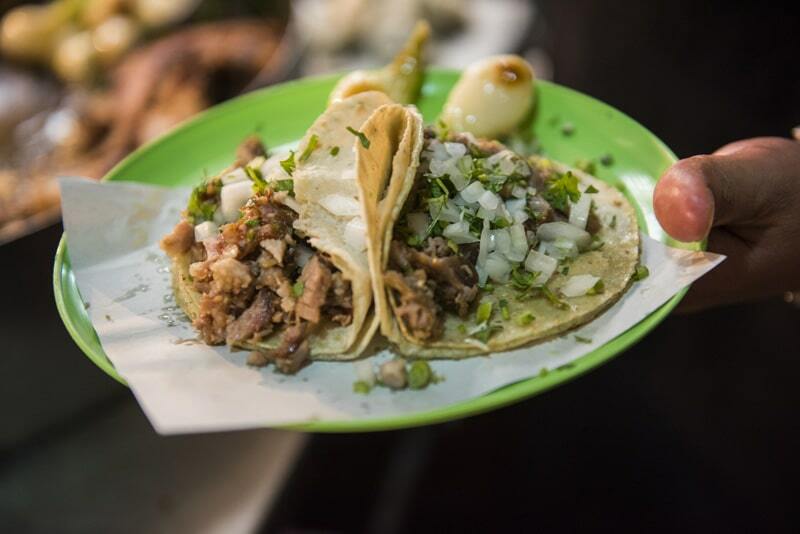 We connect you with Mexico City on a deeper level, by tasting and learning about the food that most residents eat and are proud to share. 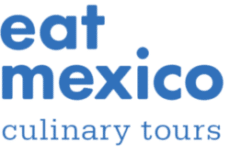 Each tour highlighted below is carefully designed by our on-the-ground team to emphasize three things: the deliciousness of the food; the richness of Mexican food history and gastronomic culture; and the vendors who prepare the food. 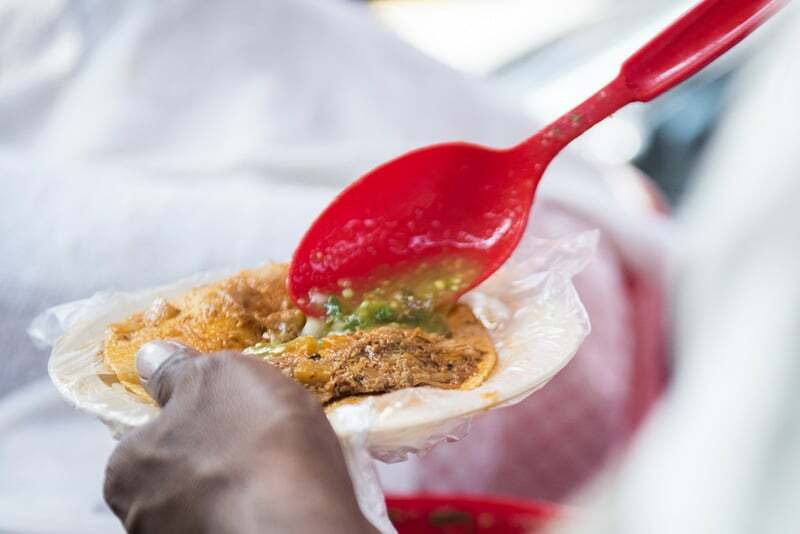 Whichever tour fits your interests, our local, bilingual guides will teach you the history of what you’re eating as well provide the proper social and cultural context. Bring comfortable shoes and an appetite. You’re about to connect with Mexico City in an entirely new way. Please note: Our tours start exactly at the time indicated. We cannot accommodate late arrivals, and date/time change requests are granted based on availability only. NEW! Join us in strolling through the historic, leafy neighborhood of Santa Maria la Ribera, where beautiful architecture and a creative vibe have attracted intellectuals and artists since the 19th century. 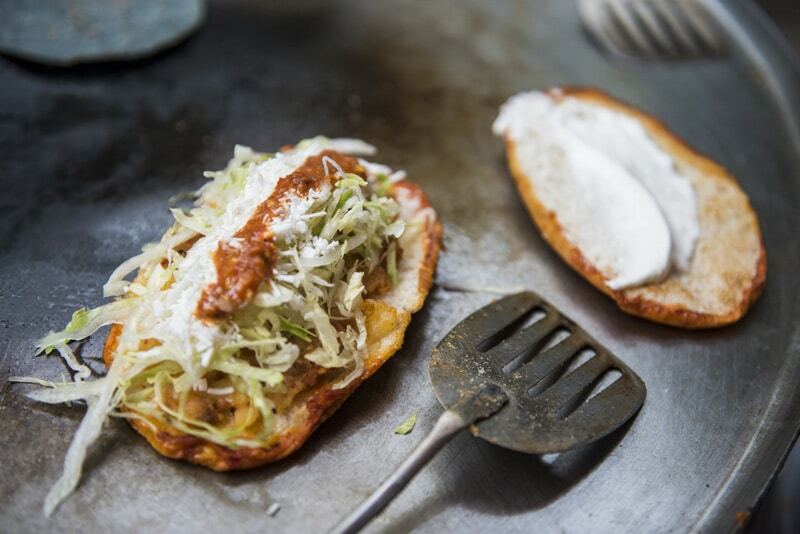 Eat Mexico guide Nico Garcia, a former chef, designed this route to highlight his favorite spots—an artsy café that churns out tlacoyos topped with escamoles, or ant larvae; a working tamales factory that offers dozens of varieties daily; a tiny spot that specializes in buñuelos, or crunchy, fried dough topped with sugar syrup; and a hidden pulquería that’s drawn neighborhood residents for more than 100 years. You’ll also see some of the landmarks that make Santa Maria la Ribera what it is, including a century-old geology museum. 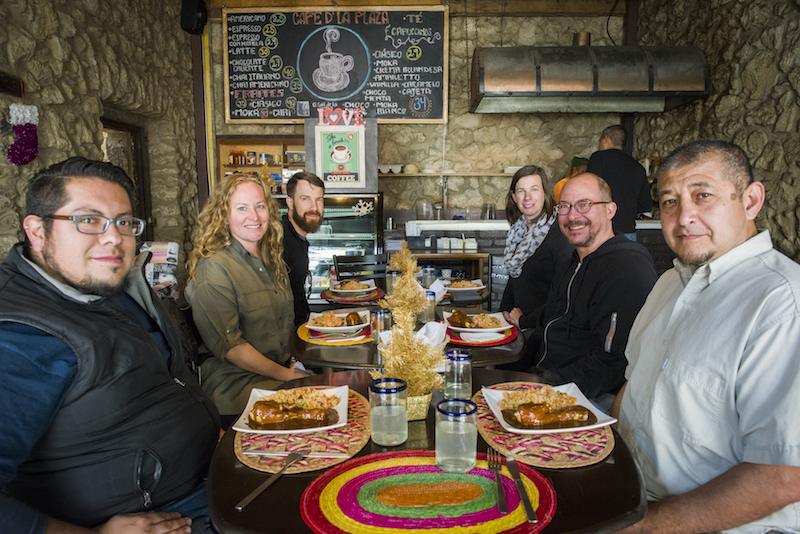 Join us in learning about a historic neighborhood that’s off the tourist strip, and home to some delicious, fresh styles of Mexican cooking! Note that participants on this tour must be at least 18 years old due to alcoholic beverages served. 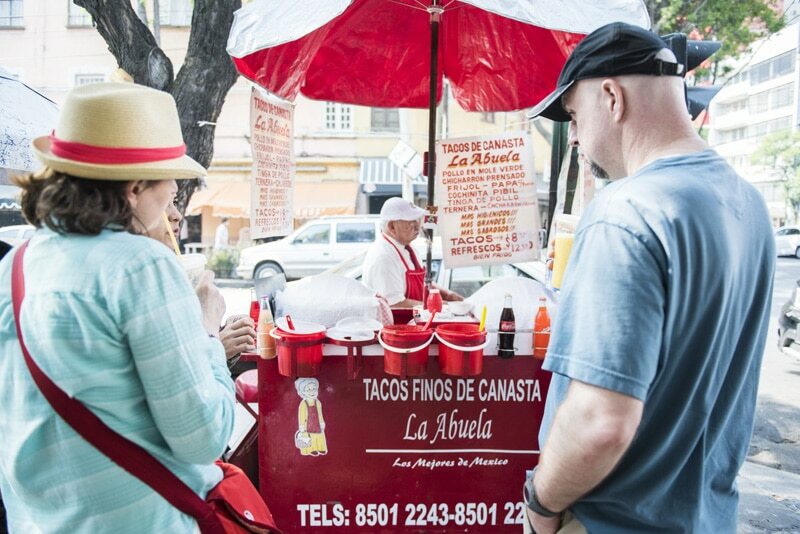 If you're traveling with children, email us at hola@eatmexico.com to hear about options for this particular tour. NEW TOUR DISCOUNT: For tours happening in April and May only, use the code SANTAMARIA for 15 percent off! Tours depart at 10:00am and 1:00pm. $85 USD per person. 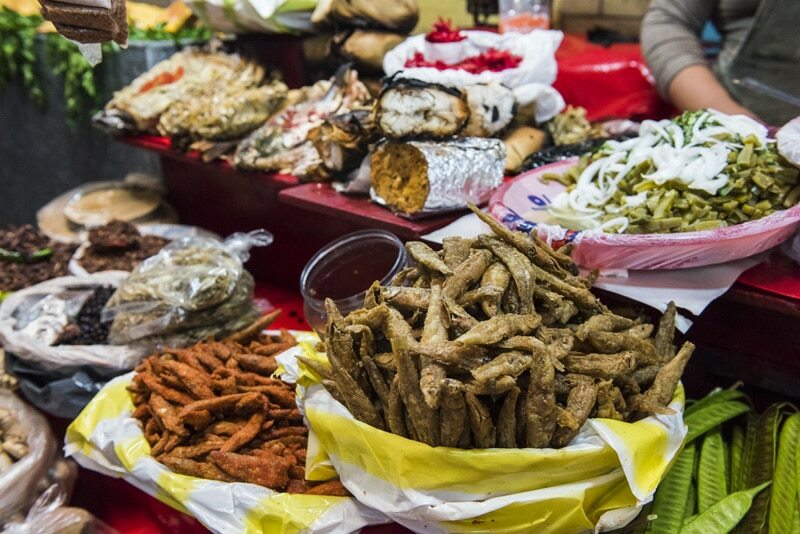 Price includes all food, plus pulque, coffee, and a Mexican beer or mezcal per person. Kiosco Morisco in Santa Maria La Ribera, on the southside in front of the steps. • People who’d like to sit down throughout the tour. All of the places we visit are brick-and-mortar establishments, with tables and chairs. 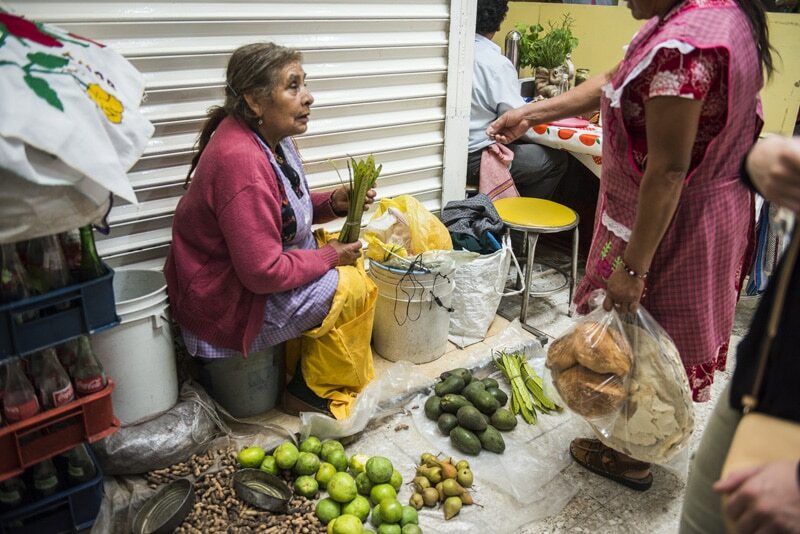 Beyond the glitz and gloss of the Condesa/Roma sits the Narvarte, a solidly middle-class neighborhood known for its dozens of family-style taquerías and a tranquil setting that hasn’t changed much in decades. 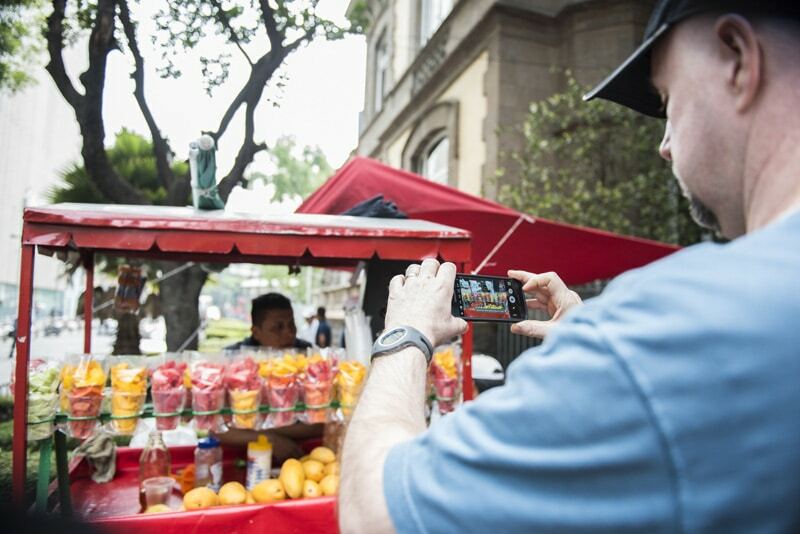 On this walking tour we’ll show you the vibe of a typical Mexico City colonia at night, as we visit a wide range of places that the locals love. 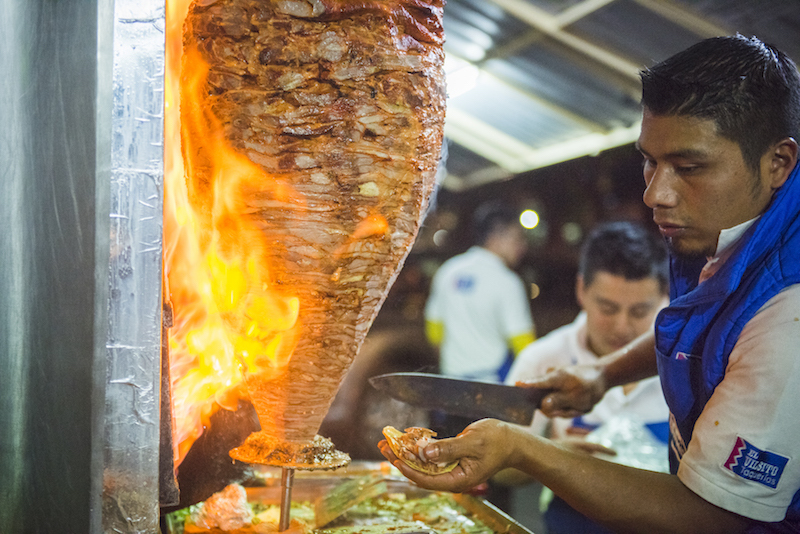 We’ll try tacos al pastor, crispy volcanes slathered with cheese, and suadero tacos from vendors who've been in the neighborhood for decades. 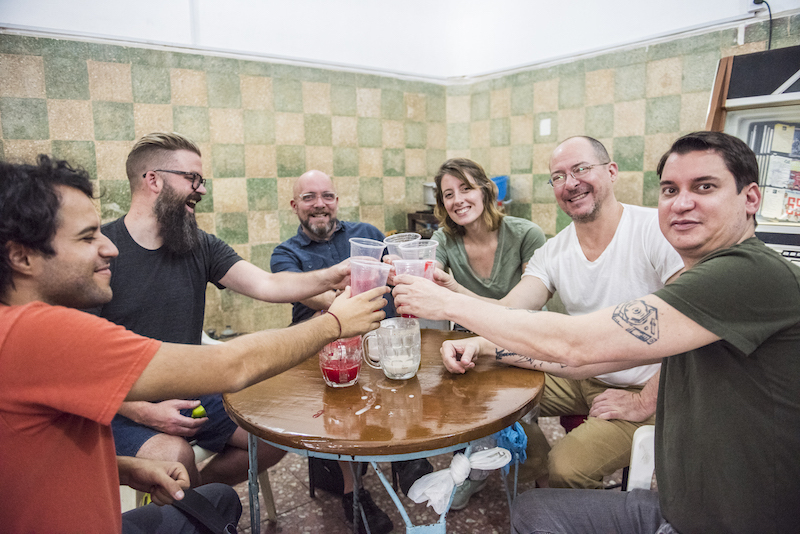 We’ll visit a lively cantina to learn more about cantina culture in Mexico City, where we’ll toss back a chela, slang for cold beer, or a cocktail if you wish. 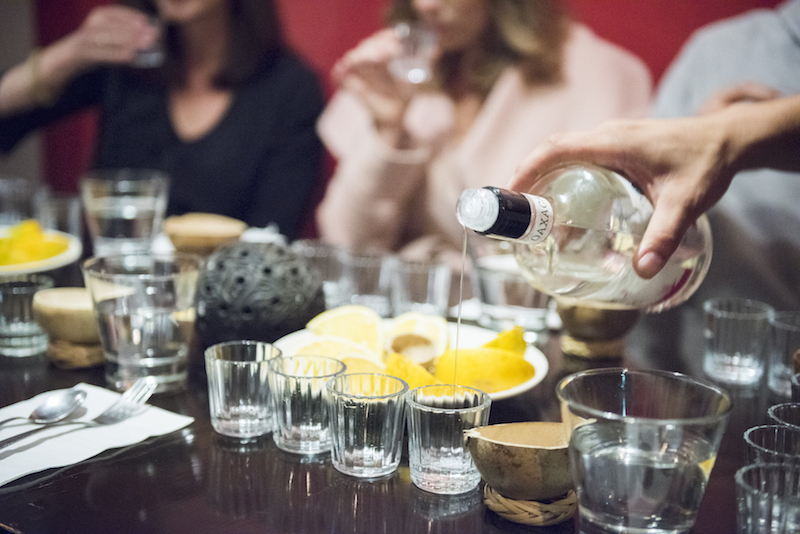 And we’ll try a flight of small-batch, artisanal mezcals in a cozy neighborhood restaurant, part of a private mezcal tasting led by a local chef and expert. We’ll finish with a beer at a local indie brewpub, where we’ll connect and toast to everything we’ve learned and tasted. 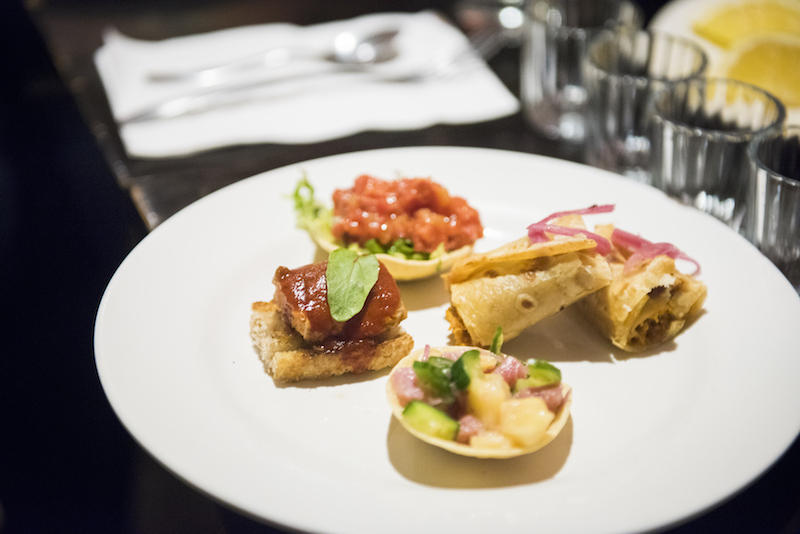 If you want a tour that combines food, culture, and drinks, this is not to be missed! 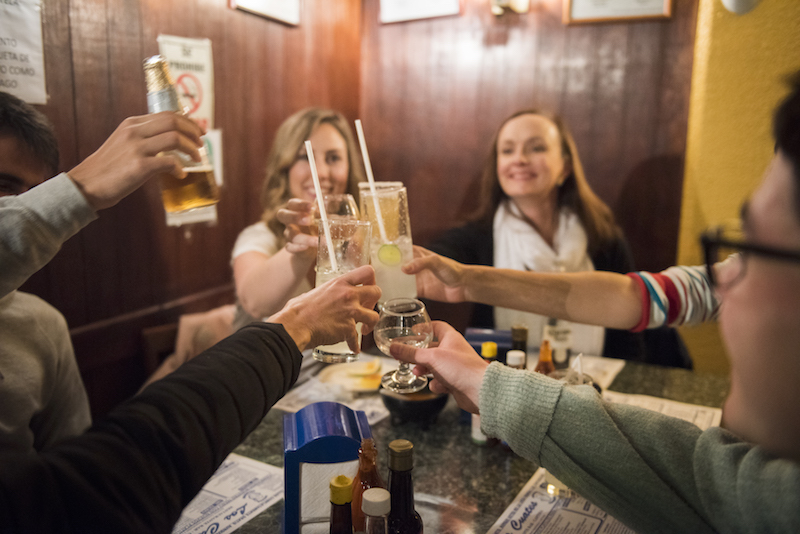 Please note that this is a food tour that we balance with some fun stops for alcohol. It's not a pub/bar crawl. We do not allow drinking while you’re walking through the streets. We're also unable to add on additional bar visits to this tour. $98 USD, with group discounts available. 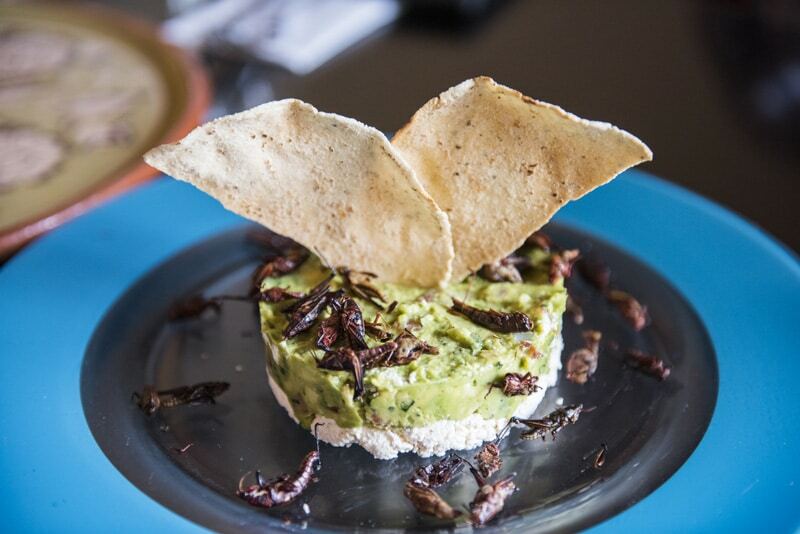 Price includes all food, a flight of mezcal, a beer or cocktail at the cantina, and a microbrew to finish the tour. La Costilla on Cumbres de Maltrata 352, Narvarte, 03020 Benito Juarez, CDMX. 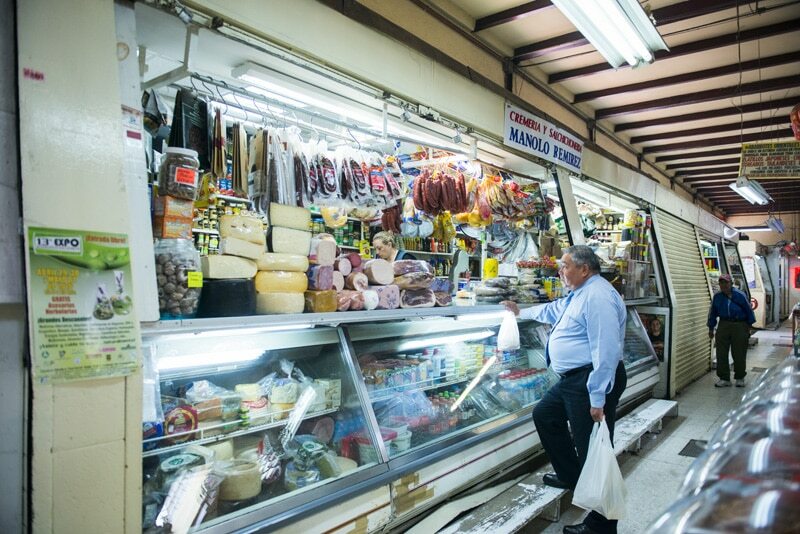 The Merced Market, for generations, was the only wholesale market in the city — a massive spot filled with vendors ferrying produce, bread, candy, and just about every edible product you can imagine. It’s still that way today: a thriving epicenter of commerce, prepared food, clothes, cooking utensils, typical sweets, butchery and more. 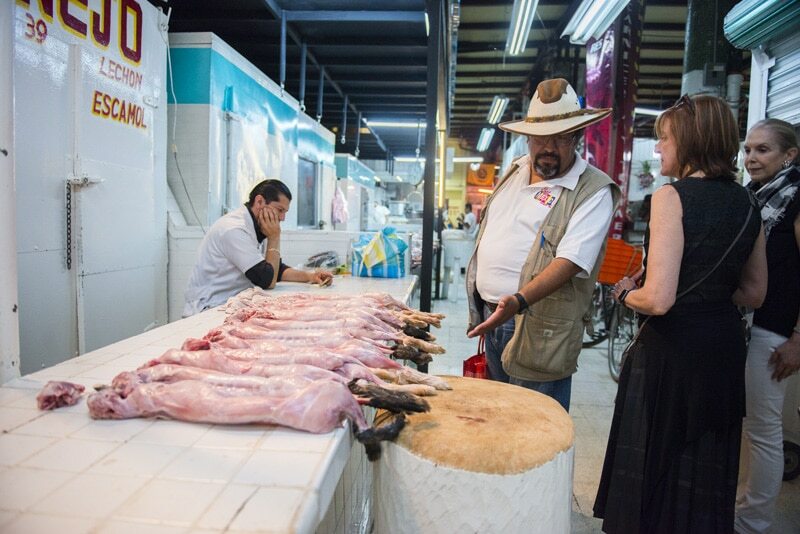 On this tour, we’ll take you deep into the Merced Market and the surrounding neighborhood. 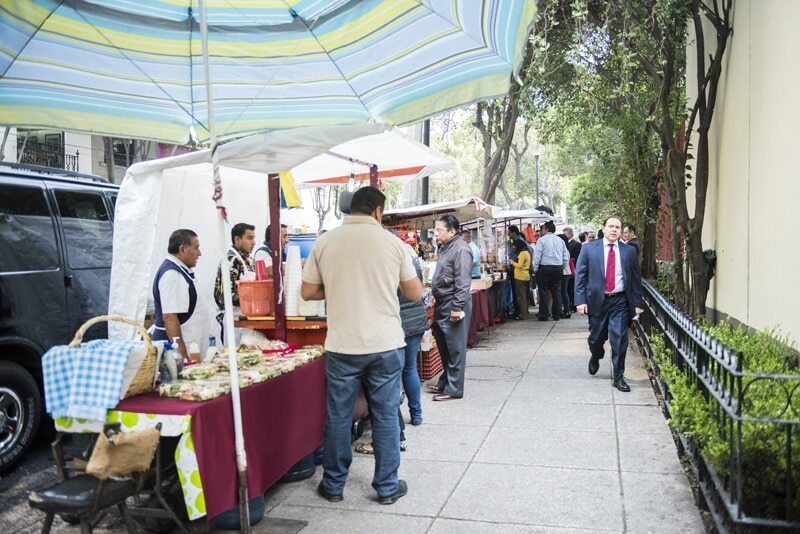 You will taste fresh tacos and antojitos at the market, learn about prehispanic ingredients, and take a relaxing stroll through what many say is the oldest part of the Centro Histórico. We finish the tour at a beautiful restaurant in a restored mansion, where you’ll relax with a cold drink or fresh ice cream, and a snack with your guide. Because the chaos and energy of the neighborhood is best experienced in a very small group, our maximum group size for this tour is 4 people. Monday through Friday, 10:00/10:30am to 2:00/2:30pm. Saturday & Sunday, 9:30/10:00am to 1:30/2:00pm. In front of El Depósito World Beer Store, on Isabel la Católica 96, Centro Histórico, on the corner of San Jerónimo. 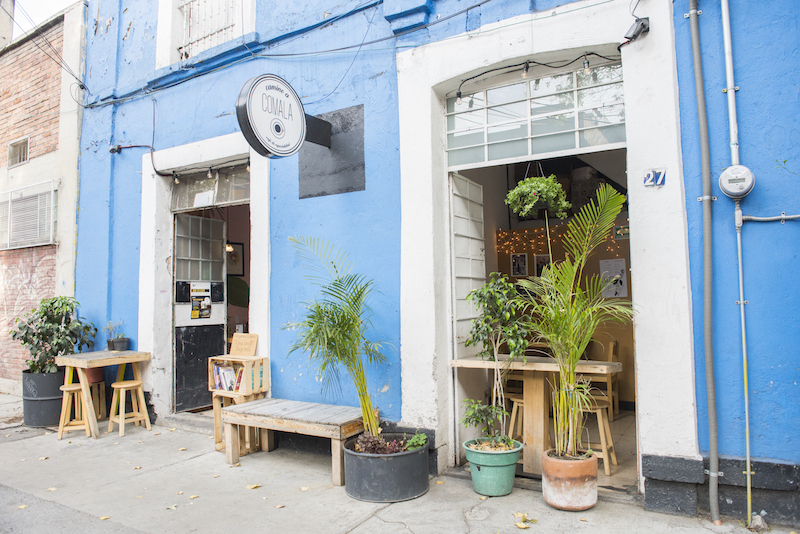 The bar is located under a big white, salmon and turquoise Art Decó building that can’t be missed! • Seasoned travelers who feel comfortable in chaotic, foreign environments. • Travelers who do not mind dirt, noise, or unsavory odors. Just landed in Mexico City and not sure where to start? 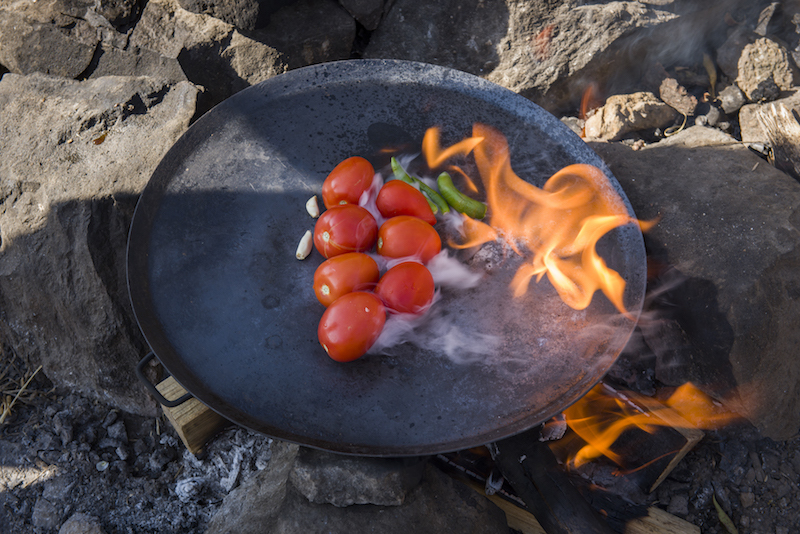 This tour has the most variety of food of any of our routes. 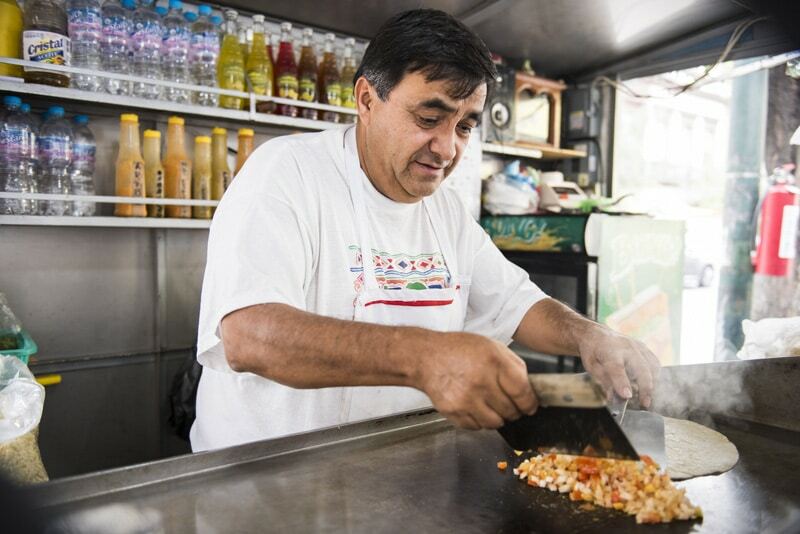 Held in the bustling Cuauhtémoc office district, you'll learn about and try some of Mexico City's most beloved street foods, including homemade tamales, tlacoyos (griddled corn patties stuffed with beans, cheese or fava beans), tacos de canasta (steamed tacos with beans or potato), seafood tostadas, cemitas, pambazos, and more. 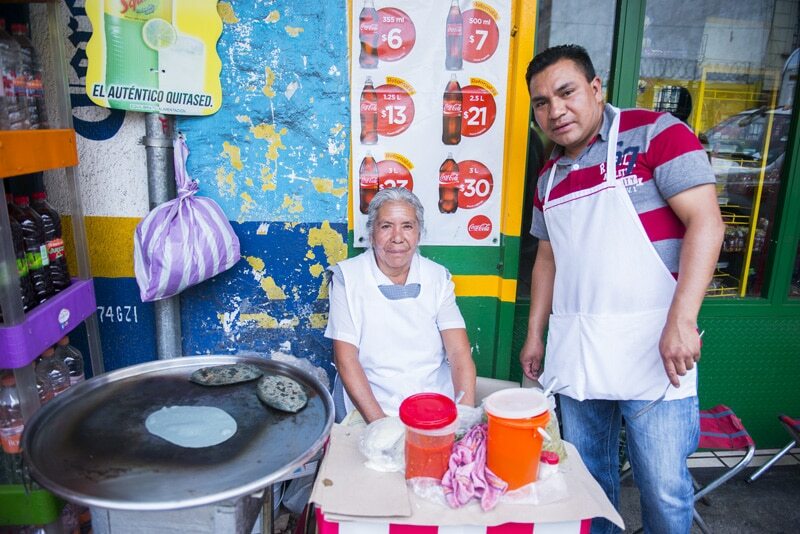 Along the way, we’ll also learn how street food operates in Mexico City, how to order, and how to spot the best stands. 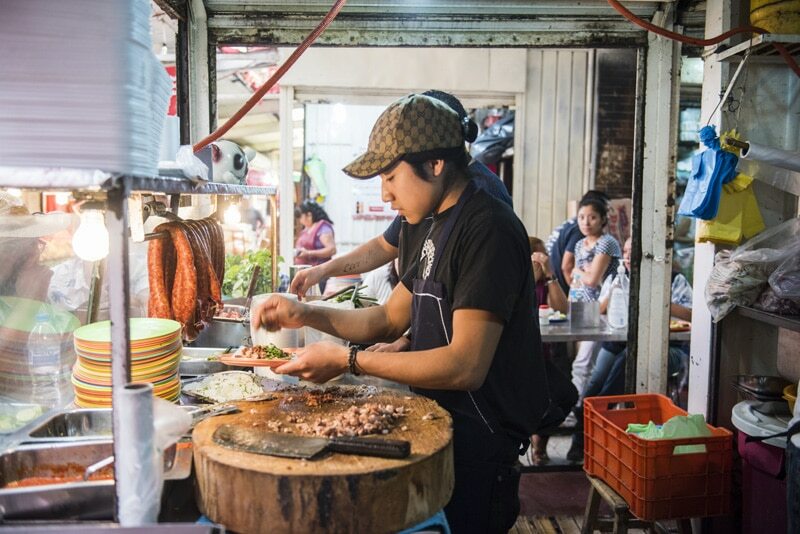 And you’ll meet some of the cooks who prepare this food on a daily basis. Come hungry and pace yourself—you will be full well past lunchtime! Monday, Thursday and Friday, from 9:00/9:30am to 12:00/12:30pm. If interested in a day that we do not run this tour, please contact us at hola@eatmexico.com. $75 USD, with group discounts available. Price includes all food on the tour (as much as you can eat), plus 1 fresh juice and coffee per person. 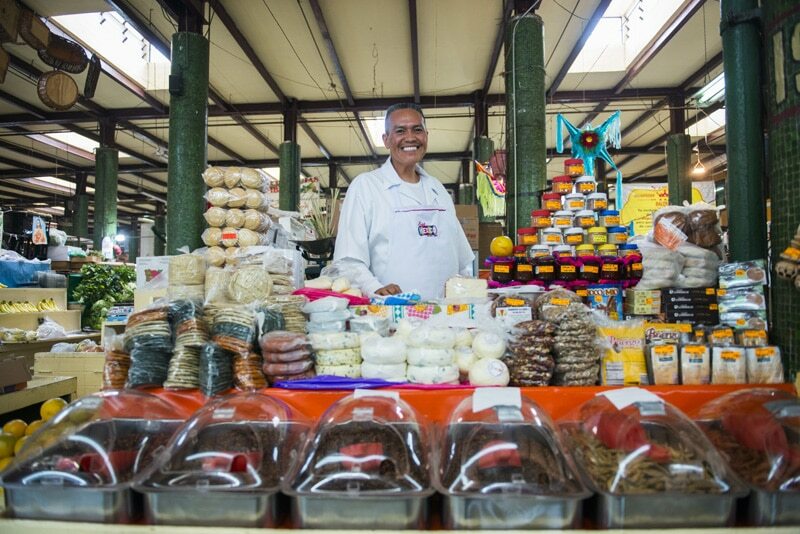 For anyone interested in Mexico City’s vibrant market scene, a trip to the gourmet San Juan Market is a must. 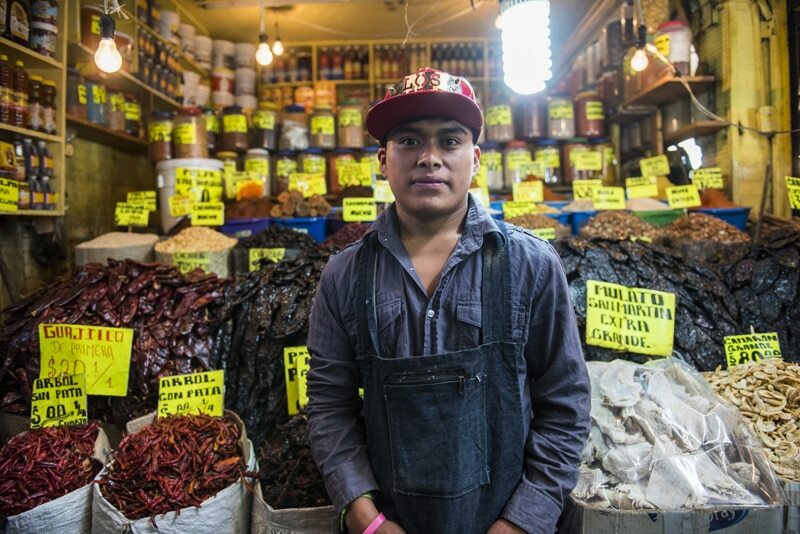 On this tour we’ll visit the market’s fruit, vegetable, mole and dried chile stands. 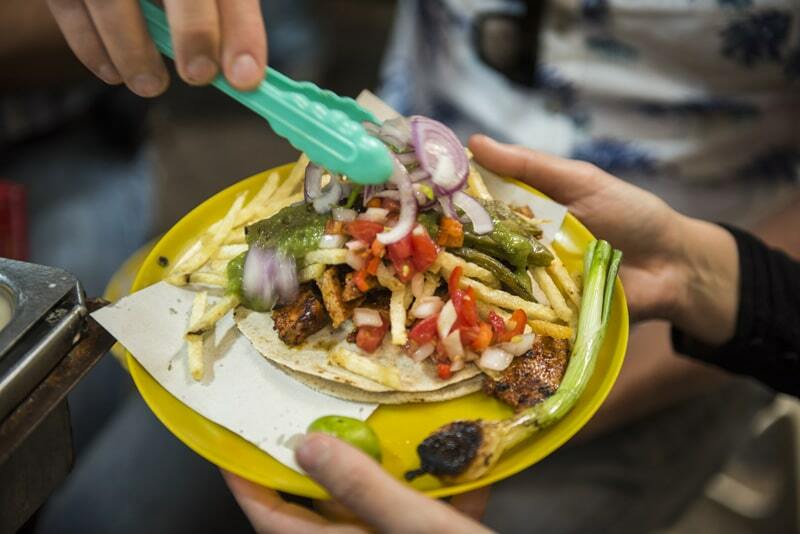 You’ll sample seafood tostadas, homemade mole, blue-corn tlacoyos and a Mexican cheese tasting. 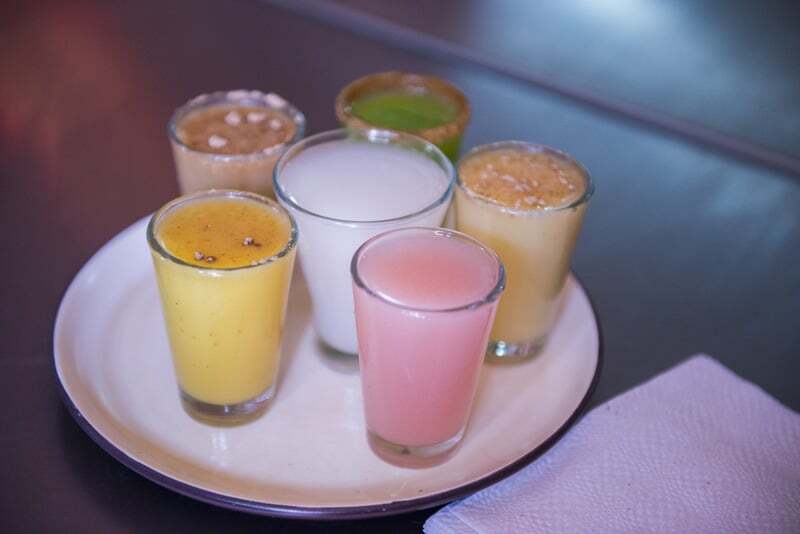 To quench your thirst, we’ll try pulque, an alcoholic beverage made from the fermented sap of the maguey plant -- it’s traditional to central Mexico, where it has been produced for millennia. We’ll also visit the nearby Mercado San Juan Arcos de Belén, famous for its ready-made homestyle Mexican food and fondas. Participants on this tour must be at least 18 years old. Monday, Friday and Saturday; 10:30/11:00am to 2:30/3:00pm. 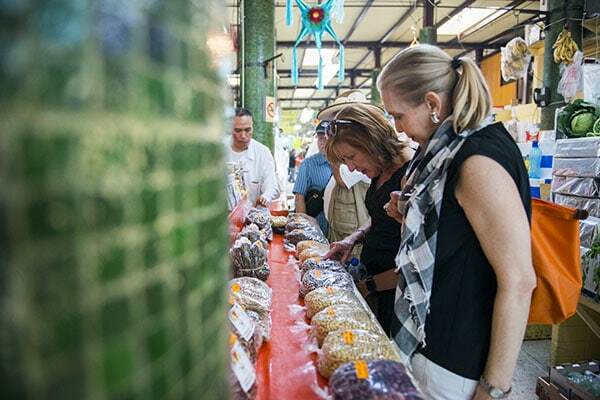 If interested in a day that we do not run this tour, please contact us at hola@eatmexico.com. Front entrance of the Sears building on Av. Juárez #14, Colonia Centro. 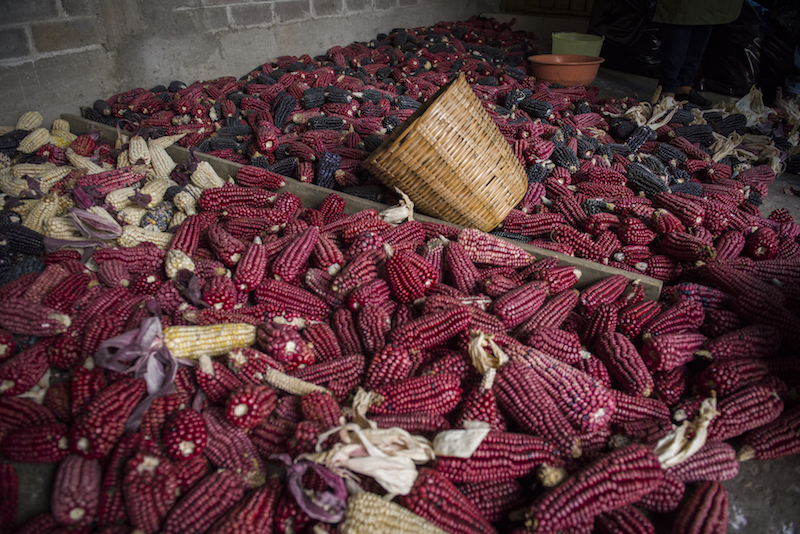 Milpa Alta is Mexico City’s rural southernmost borough, and it’s known primarily for two things: acres of cactus fields, and fresh, homemade mole. 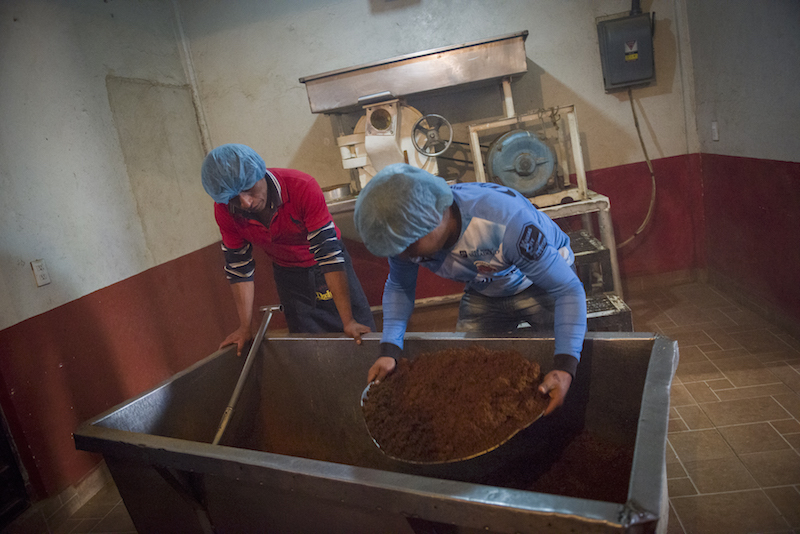 In the Milpa Alta town of San Pedro Atocpan—where most families earn their living making mole pastes and powders from scratch—the streets literally smell like mole. 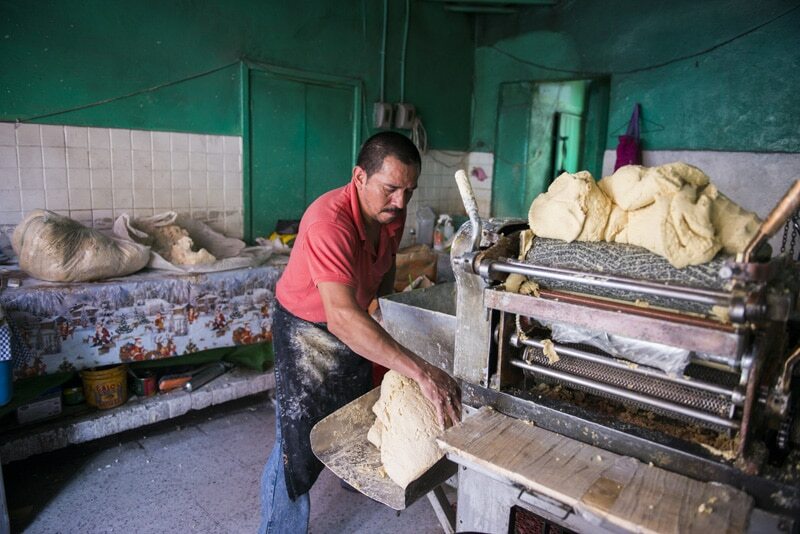 This one-of-a-kind tour, offered in conjunction with our partners La Ruta de La Milpa, gives you an inside look at this unique, beautiful region. 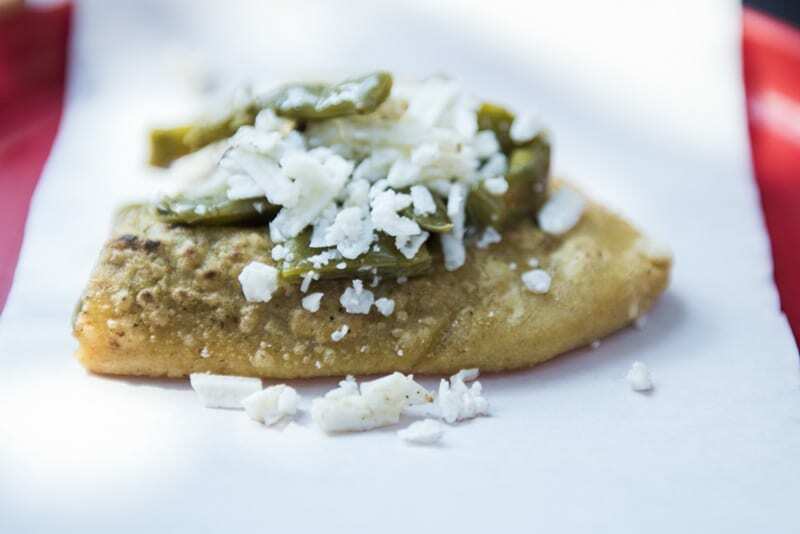 You’ll taste stunning, locally sourced Mexican cooking in the countryside and meet some of the skilled cooks that make Milpa Alta what it is. Be prepared for an early 7am pick-up time. 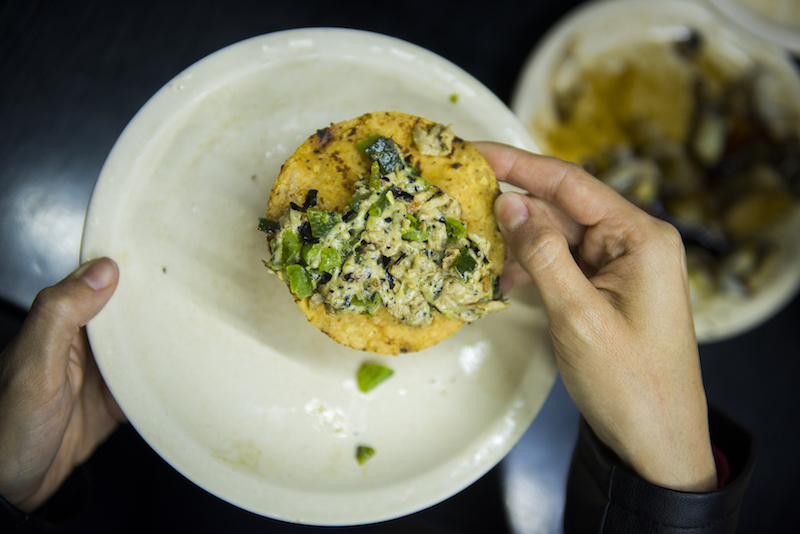 We’ll eat a light breakfast in the car as we fill you in on Milpa Alta’s history and role in modern Mexico City, over the course of the 90-minute drive there. We’ll kick off our arrival with a visit to a cactus farm. 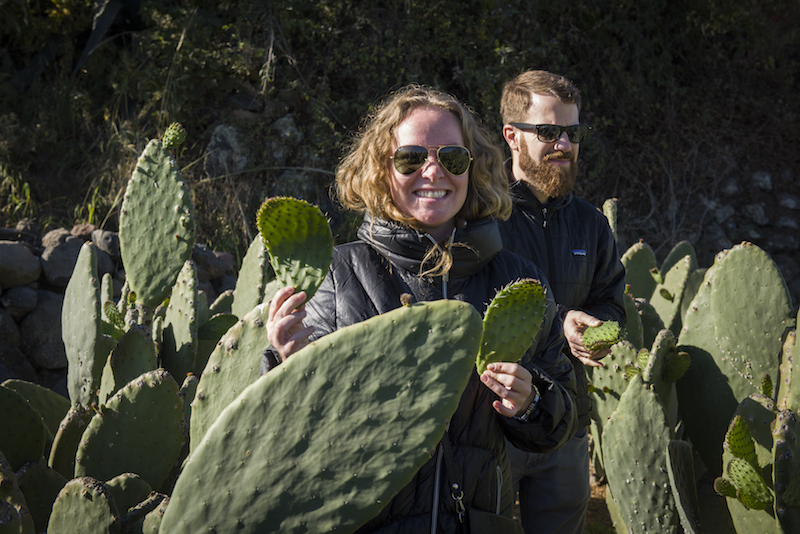 You’ll learn about how a typical cactus farm works, then we'll cut our own cactus leaves and eat them fresh off a wood-fired comal, accompanied by fiery homemade salsa, fresh cheese and tortillas. 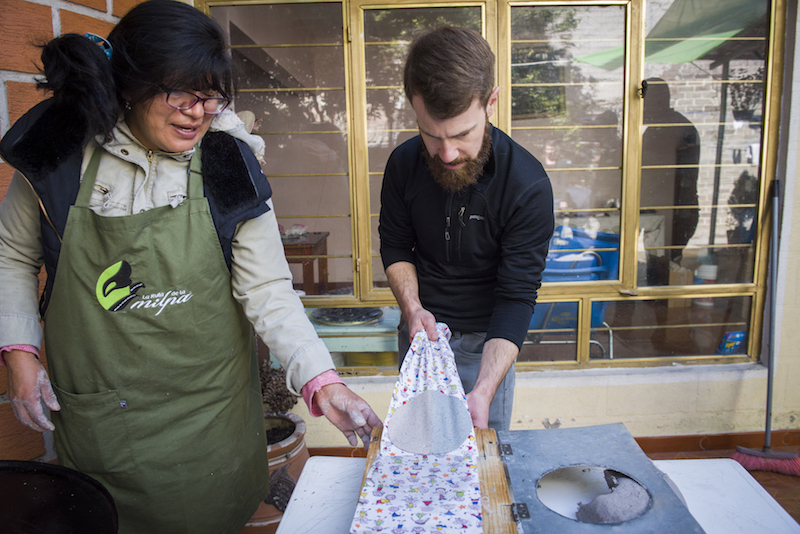 After that, we’ll meet a skilled local tortillera and make tortillas under her guidance, from her own locally grown corn. We’ll visit a local apiary and meet local honey producers, and a mill that has been grinding mole pastes and powders from scratch for more than 50 years. 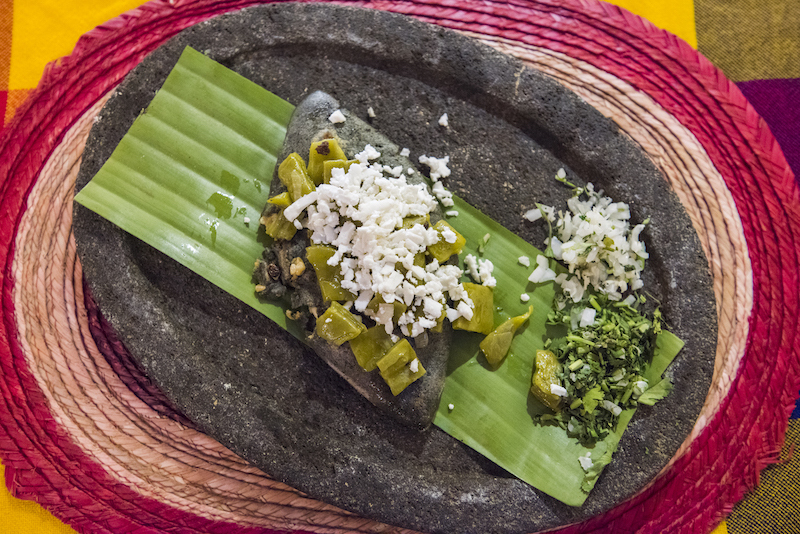 We’ll finish with lunch at a Milpa Alta restaurant, where we’ll dine on—of course!—luxurious homemade mole. 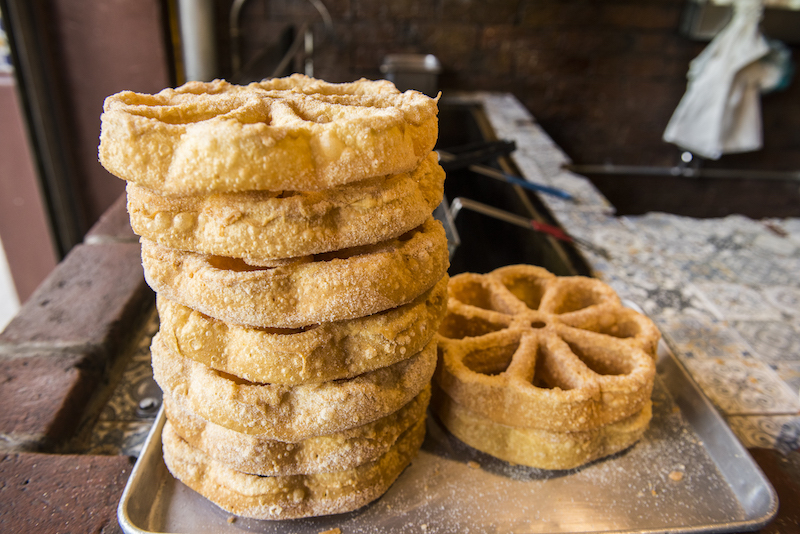 If you’re looking for a truly local, food-based day trip, this is the tour for you! Please note: In order to plan this tour with our various vendors, bookings should be submitted with minimum one week’s notice. $189 USD per person, with group discounts available. 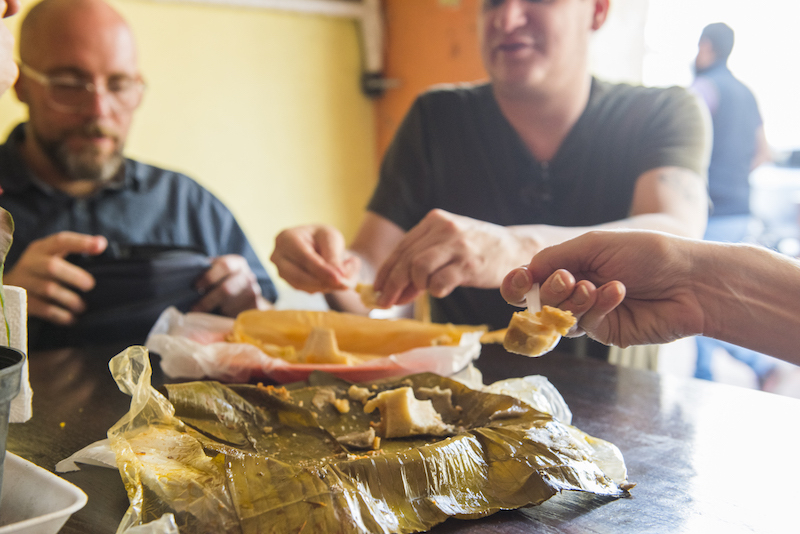 This tour includes private transport to and from Milpa Alta, a small breakfast in the car, a full lunch plus several snacks, and guide service from one Eat Mexico guide and a Ruta de la Milpa guide. • This tour isn’t suitable for children ages 1-7.